The ancient sand forest makes for a stunningly beautiful and wonderfully tranquil environment – the chance to watch duiker or nyala grazing just feet away through the glass is unforgettable! it’s the expansive floor to ceiling glass walls of the suites that truly elevate Forest Lodge above the ordinary – you could be having a shower or just lazing on your bed looking at a nyala nibbling away literally feet away from you, separated only by the glass between you! 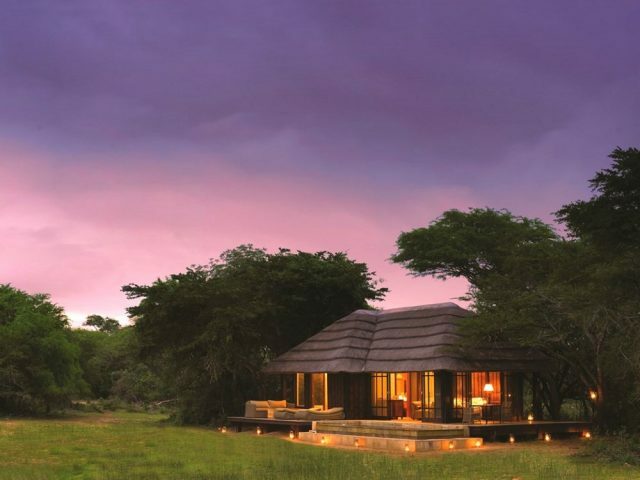 Phinda Private Game Reserve is situated in subtropical northern KwaZulu-Natal - located between the crisp blue waters of the Indian Ocean and the lush waterways of the Greater St Lucia Wetland Park. This game reserve was formed in 1991 and interestingly this ethnically named reserve means "return to the wild" which sums up the initial massive animal re-stocking exercise that took place here. Two decades on the reserve has developed wonderfully and a prolific animal population has made itself at home in Phinda’s seven distinct ecosystems including palm savannah, mountain bush, wetlands, a rare sand forest and dense thorn-veld. 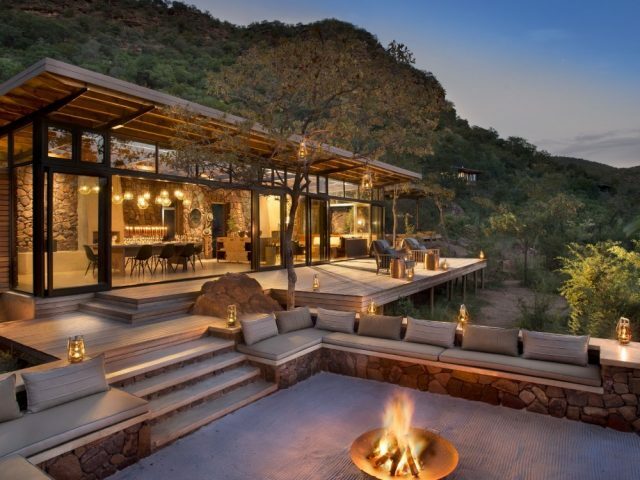 Hand in hand with this, the tourism potential has also been fully realised and Phinda is also home to 6 stylish lodges. 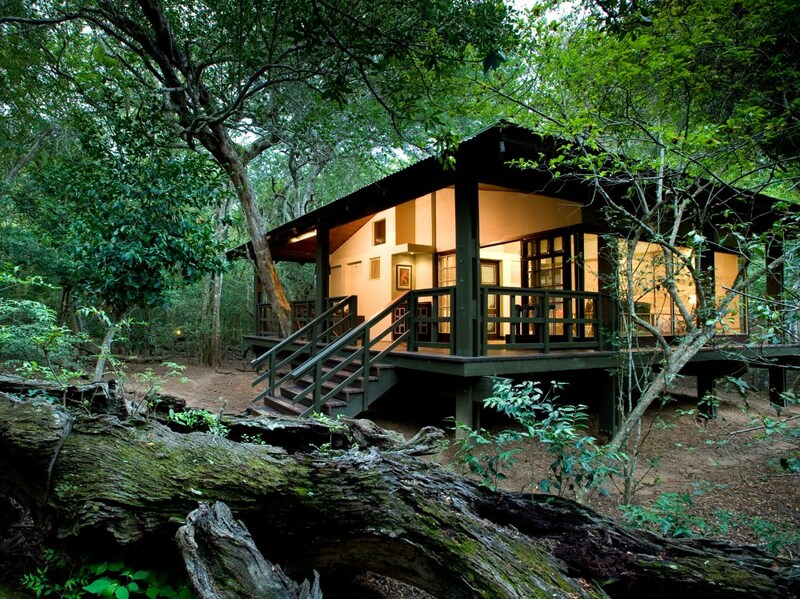 Forest Lodge is situated in an ancient sand forest where the dainty forms of bush buck and nyala tiptoe under and amongst the glass timber suites - raised on stilts to float between the sandy forest floor and the leafy canopy above. Waking up to rustling forest sounds and bird song - surrounded by delicate leaf-filtered light, a pervading sense of peace and calm will set the tone for your entire day! The 16 spacious hand-built suites are each air-conditioned and provide serene and reflective spaces to watch the secrets of the forest unfold – in fact not one tree was cut down during construction. Each suite boasts luxurious en-suite bathrooms, a private rim-flow swimming pool as well as your own viewing deck! But it’s the expansive floor to ceiling glass walls of the suites that truly elevate Forest Lodge above the ordinary – you could be having a shower or just lazing on your bed looking at a nyala nibbling away literally feet away from you separated only by the glass! 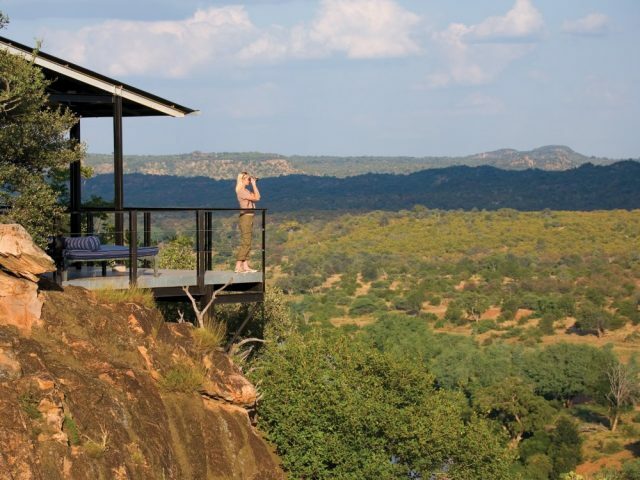 They say that people who live in glass houses shouldn’t throw stones and that is certainly true at Phinda Forest Lodge! Mindful of the devastation that a single wayward projectile could cause in these magnificent glass encased suites, the designers have created a calming atmosphere. It's very modern, with a Zulu- Zen feel, thanks to glass-panelled walls, light woods, and a deliberately spare, clean and minimalist look - the effect is stylish and very elegant, softened by modern African art and sculpture. The good news is that there’s no need to worry about your privacy - in spite of the glass walls, the towering torchwood trees and fertile forest floor that surround your suite ensure a sense of seclusion (and you can always draw curtains to preserve your modesty) that would be a pity though as you have a unique and intimate insight into the world of the forest dwellers. The dappled green shade which cools your deck and plunge pool works its magic on guests and animals alike - tiny suni and red duiker graze among the vines and massive tree trunks. The sand forest is a truly magical place with trees that surround you which are about 1000 years old – within this mystical setting you almost expect fairies to appear at any moment! The main lodge sits in an ideal position to enjoy the great views, with the central dining area, lounge and swimming pool overlooking the wetland pan - a great way to spend an afternoon is to sit back and relax as you simply watch wildlife come and go! If you wish to chill the lounge is lovely and comfortable with a throng of throw cushions to make yourself comfortable – alternatively spend the afternoon on the spacious private veranda of your suite, secluded from all except an occasional red tonga squirrel in the treetops! 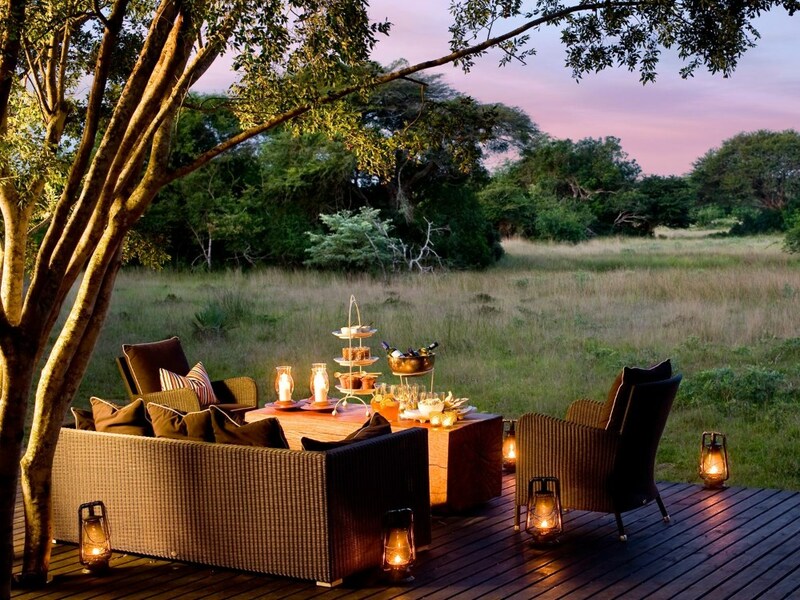 Mealtimes on the open air dining deck bring about their own distractions - monkeys frolic in the branches and an ever-changing assortment of wildlife grazes on the open plain in the distance. In the evenings, when warm firelight welcomes you to the African themed boma, wide-eyed bush babies watch inquisitively from the dense foliage above – all illuminated by dozens of candles and lanterns! The service almost goes beyond what you normally experience at a 5 star resort as the staff at Forest Lodge have mastered the friendly, homely feel –their careful attention to detail in everything they do, as well as their smiling faces, brightens any day. The ranger and Zulu tracker are typically of And Beyond lodges everywhere very knowledgeable and the twice daily game drives won’t disappoint! Other than the chance to view the Big Five, there are also sensational cheetah sightings to be had at Phinda – but for a real adrenaline-soaked adventure why not go tracking black rhino on foot! You can also enjoy riverboat cruises or paddling by canoe down the Mzinene River, whilst the beaches near Phinda also offer you the chance to go snorkelling, deep-sea fishing or even watch turtles laying their eggs on a remote beach. That’s all assuming you can drag yourself away from the blissfully peaceful Zen atmosphere of the lodge of course!